The Alumni Association recognizes and celebrates the accomplishments of Wright State alumni at an annual awards ceremony during Homecoming weekend. The outstanding individuals, selected from a pool of more than 110,000 Wright State alumni, are recognized for numerous accomplishments in their chosen fields. In addition to possessing high standards of integrity and character, they have also given their time and talent to benefit the Alumni Association. You are invited to nominate alumni deserving of recognition. There are no restrictions on the number of nominations a person may submit, and people submitting nominations do not need to be graduates of Wright State University. 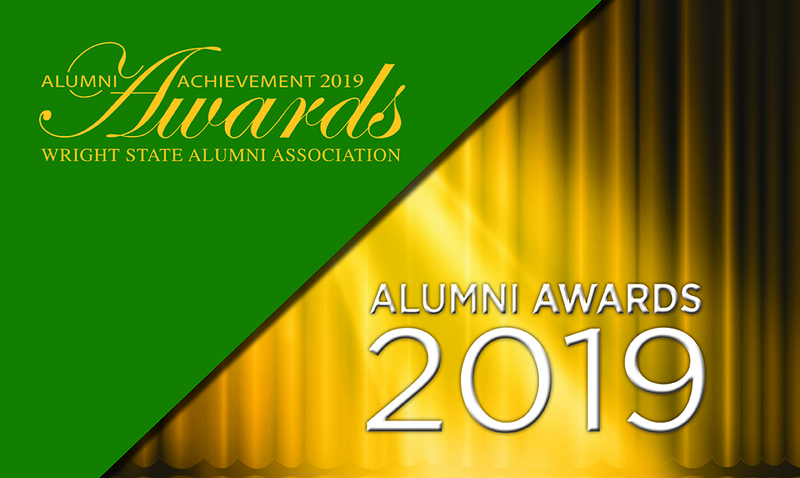 The Alumnus/a of the Year Award is presented to Wright State alumni who have attained a significant level of achievement in their chosen field. Nominees should demonstrate a positive impact on a local, state, or national/international level and be of high integrity and character. The achievement(s) do not need to be publicly renowned. Nominees extend their commitment to quality, knowledge and dedication to Wright State University. The Distinguished Alumni Award is presented to Wright State graduates who have distinguished professional achievement, leadership, service to the community in which they reside, and service to Wright State University. Nominees should demonstrate a positive impact on a local, state, or national/international level and be of high integrity and character. The Distinguished Alumni Achievement Award is intended to recognize both longevity and consistency of accomplishment over one's professional lifetime and may not be awarded every year. The Honorary Alumnus/a Award recognizes and honors those individuals who, though not graduates of Wright State University, have demonstrated outstanding interest, commitment and service to the university. Recipients embody the notion that friends of Wright State, in addition to Wright State alumni, can play an important and vital role in the enhancement of the institution. The Graduate of the Last Decade Award (formerly the Recent Graduate Award) recognizes the accomplishments of Wright State undergraduate alumni who have graduated within the past 10 years. 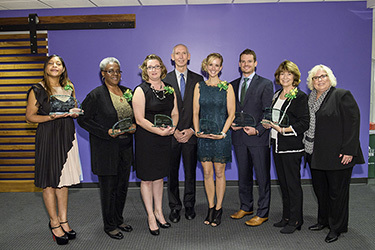 These alumni have quickly excelled in the various aspects of life by demonstrating outstanding accomplishments in their professional careers; impressive volunteer service; and/or noteworthy involvement in professional and service organizations. The Volunteer Service Award is intended to recognize service to Wright State University only and will not consider volunteer service to other organizations in the nominee's home community. Similarly, Wright State employees or those alumni with business relationships to the university are not eligible on the basis of their employment duties or their business services. These awards recognize volunteer service to the university or any of its alumni organizations including especially active participation in alumni or university affairs, faithful and continued effort in maintaining network, society or other alumni organizations. Financial contributions are specifically excluded from consideration for this award, although volunteer service soliciting contributions or service on the Foundation board of Wright State is considered. Please submit nomination(s) using the online form below – one form per nomination. Narratives should address the nominee’s current and past achievements that apply to the specific award criteria. Entries will be judged on the responses to the criteria included in the award description above. Wright State Alumni Association board members are not eligible for nomination. Individuals selected will receive their honors at Alumni Achievement Awards celebration and are encouraged to be present to receive the awards. Collaborative nominations are permissible and strongly encouraged. However, there should only be one lead nominator. Note: Information provided in the nomination form may be used for publicity purposes. **The Alumni Achievement Awards Selection Committee, in conjunction with members of the Alumni Association Board of Directors, will make the final award-winner selections. Current members of the University Board of Trustees, Foundation Board of Trustees, and Alumni Association Board of Directors are not eligible for awards.